This Universal J Pipe mount is a quick and economical and can be used to install your off-air antenna or satellite dish. 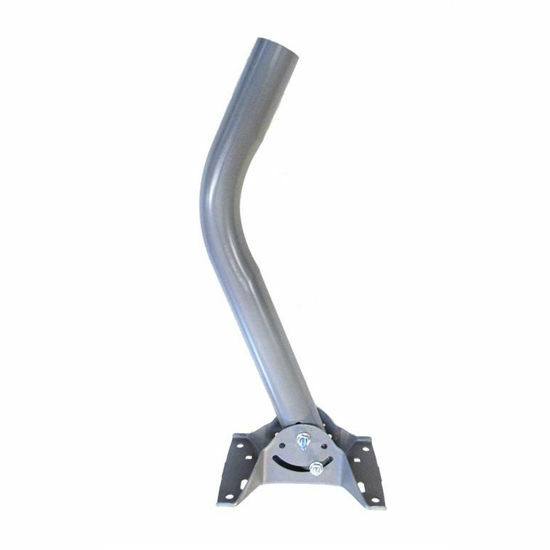 It can be used on side of house or roof; mount foot can be used on either end of pipe for best mounting. With U-Bolts purchased separately, it is quickly adaptable to many different pole installation. Pipe galvanized steel, 18 inches long, powder coated heavy duty gray, with a wall thickness of .060 inches, 1.66" OD, E-Coated for maximum protection.